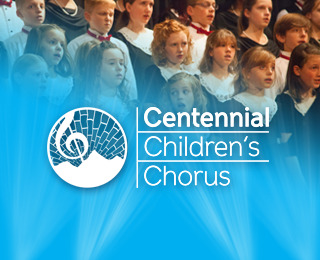 Sheri McKelfresh is the artistic director of Centennial Children’s Chorus and the director of Cantare and Sala Voce. In her career as a music educator, she has taught every level from kindergarten through college and private voice lessons. She currently directs the Chancel Choir at our Saviour’s Lutheran Church and performs with the Larimer Chorale. She retired from the Poudre School District in 2006, after 31 years as a public school music specialist. Sheri holds a Bachelor of Music Education degree from Colorado State University, a master’s degree in Elementary Education from the University of Northern Colorado, Level III Certificate in Orff-Schulwerk from Colorado State University, Level III Certificate in Creative Artistry from Butler University, Kodaly Level I certification from Hartford University, and a First Steps in Music Certification with John Feierabend. Both of her children, Kelsey and David, are alumni of CCC. Michael Apodaca started as director of Jubilate in 2011. Since 1995, Michael has been teaching elementary and middle school choral music in Chicago, Los Angeles, Denver, and Greeley. During that time, Michael obtained his certification in Orff-Schulwerk, Kodaly, and Musikgarten methods. He has taught classes specializing in music for young children at Pasadena City College, Los Angeles City College, and California State University in Los Angeles. Michael holds a Bachelor’s Degree in Music Composition from University of California in Santa Barbara, a Masters Degree in Music Education from VanderCook College of Music in Chicago, and has recently graduated with an Ed.S. Degree in Educational Leadership from University of Northern Colorado. Michael is currently teaching elementary music for Weld County School District Six. Wendi Burback is the director of Bel Canto. She received her Bachelor’s Degree in Music Education from Colorado State University. Wendi has taught elementary music in Weld County and middle school choir in Poudre School District. She is also involved in music at Timberline Church where she directed the adult choir. Wendi currently teaches private voice lessons to students of all ages. She loves calling Fort Collins home and enjoys exploring Colorado with her husband and their two beautiful sons. Karen Nuttall is the assistant director of Cantare and Sala Voce. She is happy to be back in a new capacity after enjoying several years as the director of Bel Canto which performed at CMEA under her direction. She currently teaches elementary music in PSD as well as private piano in her home studio. She has taught and performed at the Wausau Conservatory of Music and Wausau Suzuki Association in Wisconsin. Karen holds a Bachelor of Music from Colorado State University, a Master’s in Education from Lesley University as well as Suzuki Piano certification under the instruction of Connie Starr, Orff certification from UNC, Creative Artistry certification from Butler University, and First Steps Kodaly training with John Feierabend. Both of her children, Nate and Natalie, were members of CCC over 20 years ago! Hedy Reynolds joined CCC as an accompanist in 1997 and is currently the accompanist for Cantare. She accompanies various local groups and students in their auditions, competitions and recitals. Hedy holds a Bachelor of Music in Piano Performance and a Bachelor of Music Education from the University of Montana, as well as a Master of Science in Exercise Physiology from Colorado State University. She currently works at CSU in the College of Engineering Business Office. Hedy also serves on the Board of Directors for the Fort Collins Symphony. Keah Redder is the accompanist for Bel Canto. Crystal Kerr is the accompanist for Jubilate.